On Tuesday I'm leaving for a 3 1/2 week trip to Spain, Portugal, and Morocco. I'm going with one of my law school friends who also just finished taking the Bar Exam, and I'm so excited to just be able to relax and not think work or school or anything else. Instead of doing my usual Weekly Window Shopping this week I thought I'd highlight some of the things on my packing list for the trip. I love packing dresses when I travel. They make it so much easier to get dressed when all of your clothes are in a suitcase. Instead of having to hunt for separates that look good together from different parts of your luggage, you can just grab one piece and have your whole outfit ready to go. 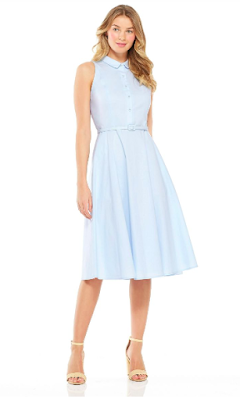 This dress is going to be great to travel with. The midi length makes it appropriate for me to wear in Morocco, where women generally dress more conservatively. I can throw this on with a light cardigan or a silk scarf over my shoulders and be all set. My Lilly travel leggings from a few years ago are perfect for long flights and train rides. I like to wear pants or capris when I fly, something about my bare legs touching the airplane seat freaks me out a bit, and I also like to look put together but still comfy on flights. These travel pants fit all my criteria. They're a more dressed up version of leggings, but still just as comfortable. 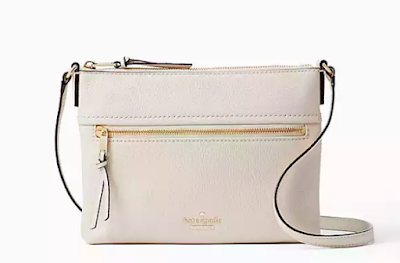 A flat crossbody bag is perfect for traveling. It can easily slip inside a carry on tote bag or a suitcase. The way that it sits flatter against the body makes it easier to keep close to you to minimize the risk of pick-pocketing. This bag is just big enough for a card waller, phone, sunglasses, and a small tube of sunscreen or moisturizer. Scarves are great travel accessories. They take up hardly any space in a suitcase, and they're so versatile. 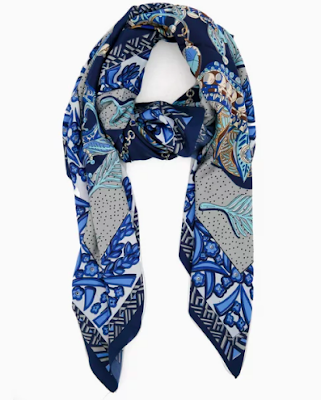 I can wear this scarf in place of a statement necklace for a pop of color in Spain, and in Morocco I can wear it around my shoulders to cover up a bit more. I definitely plan on hitting the beach at some point in Barcelona or in San Sebastian, maybe both. The Spanish beaches look so beautiful and serene. I'll be bringing this one piece suit with me. I love how one pieces have come back into style. They can be more flattering and more secure. I like to actually swim around in the ocean when I go to the beach, instead of just laying out in the sand, so I need a suit that holds everything in place. I love the gingham print on this suit, and the ruffle along the top is so fun.